Are Car Loans From a Dealer Near Terrytown, LA, Worth Consideration? A lot of people question whether car loans from a dealer near Terrytown, LA, are worth consideration. The answer is not just yes but a resounding yes. When comparing what a reputable dealer can offer in the way of financing to a conventional lender, it becomes clear that there are many distinct benefits. Flexibility is perhaps the most significant advantage of dealership car loans. Unlike banks and credit unions that have just one product to offer, a dealer works with many lending institutions. The more loan options, the better the opportunity to find one to fit each customer’s needs. Flexibility allows a financial specialist to look for a loan with excellent terms and low interest rates on your behalf. Having car loans approved by a conventional lender is more difficult than going through a trusted dealer. Most banks and credit unions have strict qualifying criteria with little wiggle room. If you meet the requirements, great; if not, you walk away without the funding needed to purchase a car, truck, or SUV. In comparison, the criteria at dealerships are more lenient, making it easier to approve people, even those with imperfect credit. The interest rate is another thing to think about when it comes to dealership car loans. Not only does the financial expert look at different lenders to secure the lowest rate, but there is a way to reduce it regardless of the lending institution. If you have a conventional lender offer lower interest than the dealership and you can provide proof, the dealership can choose to take a smaller fee in exchange for securing the loan. In other words, banks and credit unions pay dealerships a certain amount of money in exchange for allowing them to secure a customer’s loan. If the interest rate is the one thing causing a problem, the dealer can accept a lower amount or no fee at all, which leads to a reduction in the interest rate. This can help dealers close a deal. The key is to work with the right dealer near Terrytown, LA. With so many financing options, securing a loan through a trusted dealership is an excellent solution. 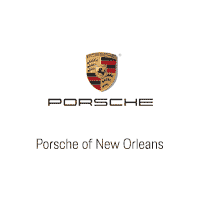 At Porsche of New Orleans, we have amazing experts in our on-site finance department who are eager to help. We invite you to visit our Metairie location, only a short drive from Terrytown, LA. If you need to finance a loan, let us help get you into the vehicle of your dreams.